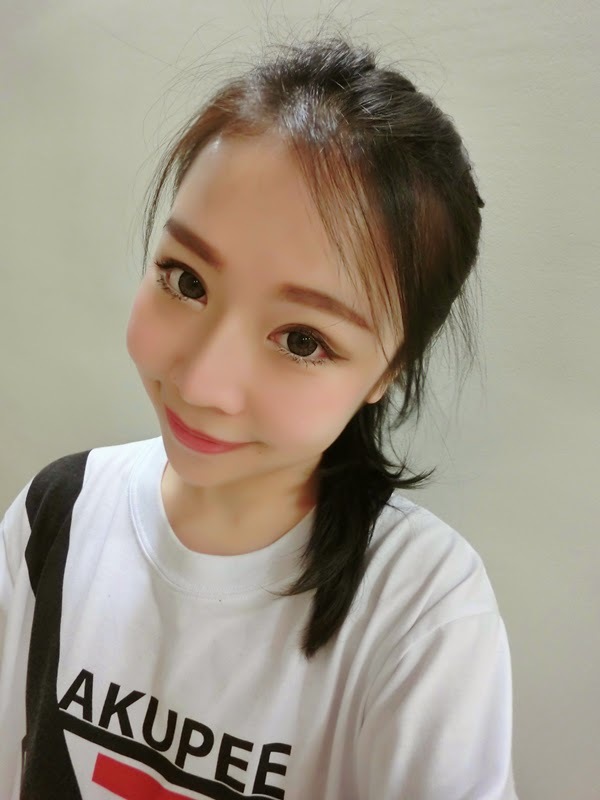 Have been using KOSÉ Sekkisei Lotion and Mask for one week and the desirable result is achieved. It's so fun that the lotion serves a dual purpose as a lotion and a mask. The lotion and mask gives a more hydrated and translucent skin instantly, besides it also prevent the dullness and roughness caused by dryness in the skin. The steps are easy, simply pour the lotion into its cap till the line and put the mask into cap till it absorb the lotion completely. Then, unfold the mask and place it on your clean face for 5-10 minutes. And now your skin is as bright as mine! A beauty tip for you: use the mask before the date and you'll definitely impress your other half! Remember that I promised that there will be a giveaway for you? Well here you are! Answer a simple question and you'll get 4 packs of KOSÉ Sekkisei Lotion Mask (two pieces of masks each pack)! I'll be giving away for 50 winners! By answering the question, please leave your full name, email address and last 4 digits of IC on the comment box (not facebook comment box). 1. What are the 3 main ingredients used in KOSÉ Sekkisei Lotion Mask? 2. Name ONE of the nine benefits of the KOSE Sekkisei Lotion Mask. 1. coix seed,Angelica & Melothria extract. 1) Coix seed extract, Angelica extract, Melothria extract. 2. Angelica Extract - Disinfectant, whitening & moisturizing effects. 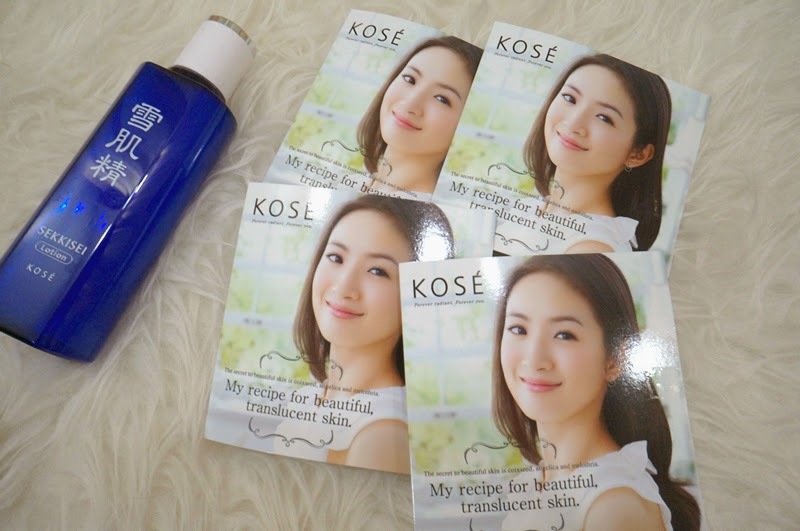 #2 Name ONE of the nine benefits of the KOSE Sekkisei Lotion Mask. Q1: 3 main ingredients: Angelica root extract ,Coix seed extract , and Melothria root extract . Q2: Benefits: Enhances our skin’s metabolism to prevent dullness and brightens skin tone instantly. 3 Main Ingredients of KOSE Sekkisei Lotion are Coix Seed Extract, Angelica Extract and Melothria (White Lotus) Extract. 2) benefits: moisturizing and enhance metabolism to prevent dullness and brightens skin tone. 1. Angelica root extract ,Coix seed extract , and Melothria root extract . Q2: Prevent dullness and hydration. Q2: Enhances our skin’s metabolism to prevent dullness and brightens skin tone instantly. 1. Coix seed extract, Angelica extract, Melothria extract. 1. Coix Seed Extract , Angelica Extract and Melothria(white lotus) Extract. Q2: prevent the dullness and roughness caused by dryness in the skin. Q1. Coix Seed Extract, Angelica Extract, Melothria (White Lotus) Extract. Q1. Coix Seed Extract, Angelica Extract and Melothria (White Lotus) Extract. Q1 Coix Seed Extract, Angelica Extract and Melothria (White Lotus) Extract. 1. coix seed extract,Angelica extract & Melothria(white lotus) extract. 1. Coix seed extract , Angelica extract, Melothria extract. Hi, can I still join the contest?